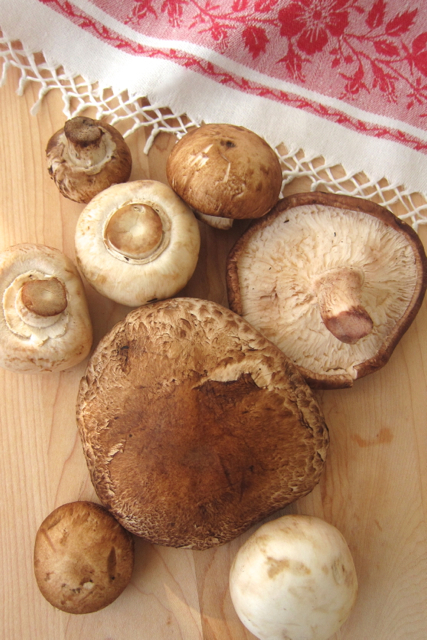 Clean mushrooms by running them quickly under cold water and drying them with paper towels. Trim off stems and discard and thinly slice. Heat butter and oil in a large skillet. Add mushrooms, onions, shallots and garlic and sauté for 40 minutes or until the mushrooms are very brown and the onions have caramelized. Pour beef broth into a small pan, bring to boil and reduce to 1/2 cup. Stir beef broth into mushroom and onion mixture. Salt to taste. 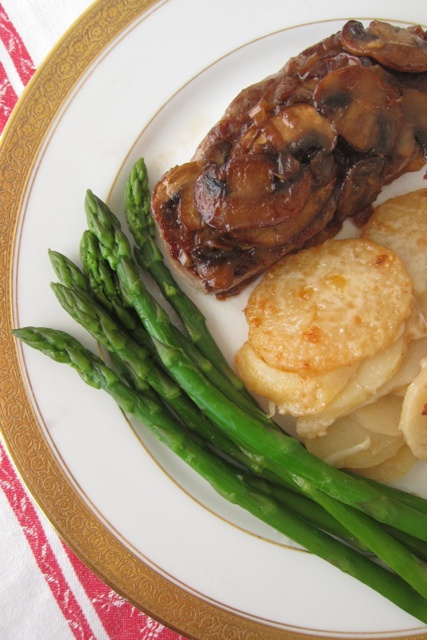 By volume, cooked mushrooms are nutritionally comparable to raw mushrooms. They are the only fruit or vegetable source of vitamin D which they get from being in the sun like humans. They also contain vitamin C which actually increases when you cook them, and also vitamin B, calcium, zinc, iron, potassium, magnesium and phosphorus. 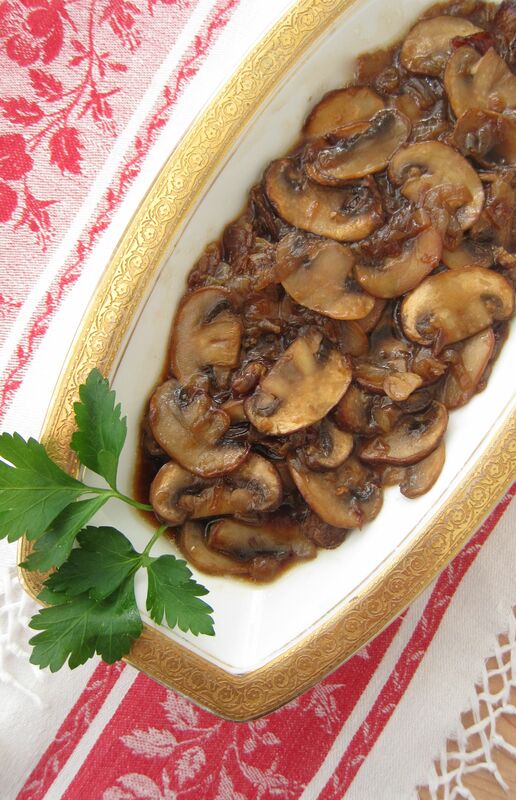 Mushrooms may increase your immune system by increasing the productions of antiviral and other proteins that are released by cells as they protect and repair the body’s tissues. In studies on white button mushrooms,they promoted the maturation of the immune system cells called dendritic cells from bone marrow. 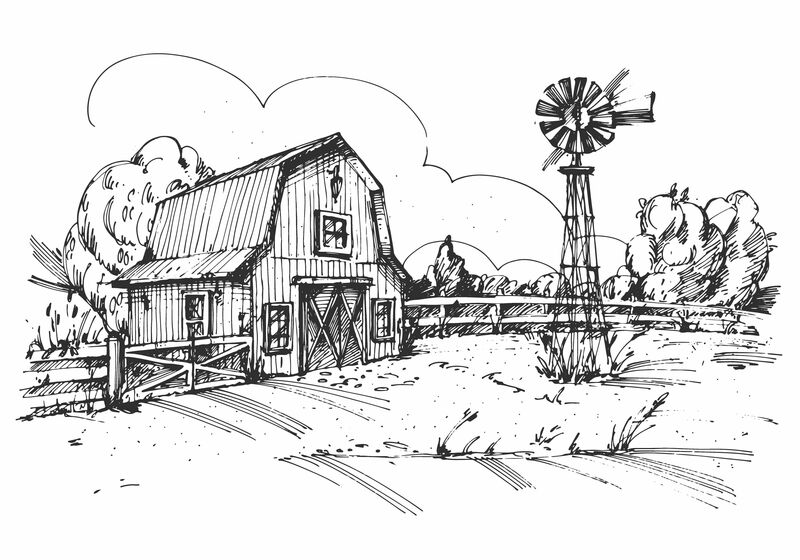 This may help enhance the bodies defense against invading microbes. Although they lack antioxidants usual bright color, crimini and portobello mushrooms ORAC score is about the same as red peppers. 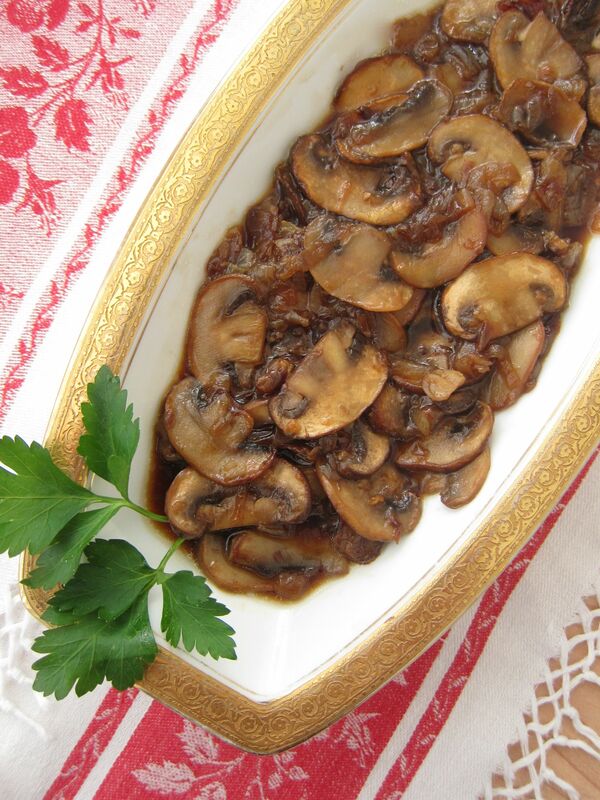 These caramelized mushrooms and onions are great served on steak or with roast beef.